Summary (from the inside flap of the book): The follow-up to her critically acclaimed Lie to Me, J.T. 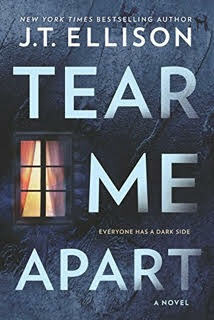 Ellison's Tear Me Apart is the powerful story of a mother willing to do anything to protect her daughter even as their carefully constructed world unravels around them. One moment will change their lives forever.... Competitive skier Mindy Wright is a superstar in the making until a spectacular downhill crash threatens not just her racing career but her life. During surgery, doctors discover she's suffering from a severe form of leukemia, adn a stem cell transplant is her only hope. But when her parents are tested, a frightening truth emerges. Mindy is not their daughter. Who knows the answers? The race to save Mindy's life means unraveling years of lies. Was she accidentally switched at birth or is there something more sinister at play? The search for the truth will tear a family apart... and someone is going to deadly extremes to protect the family's deepest secrets. Review: I didn't read the first book in this series, Lie to Me, but it doesn't matter because this book easily stands alone. And it stands alone so well! I read it in only two sittings, not wanting to go to bed so that I could finish it. There are important and interesting issues within the book: mental illness and suicide being the top two. The author handles both of them with grace and care while still giving the reader a tense mystery that slowly unravels through the end of the book. A mother's love it also paramount in this novel and is portrayed in a few ways, all of which are painful and beautiful. 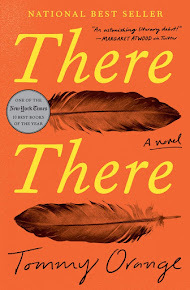 There are a bunch of main characters in this story, all of whom are interesting, frustrating, sympathetic, and important. I like the way they worked together, interacted, changed alliances, and fit into the story. Each one is necessary and brings something different to the plot. I also liked that some chapters went back in time so that the reader gets the background to the "now." The novel is tightly written and a joy to read.